Upper arm pain is closely associated with strenuous activities involving the upper arm, or bicep. Usually, this happens after a day of using the upper arm repetitively or stretching the capabilities beyond what it is used to. People normally experience upper arm pain after exercising that involved moving the arms such as weight-lifting, push-ups and chin-ups. Upper arm pain causes are normally muscle strains, fractures, tendonitis and injury. 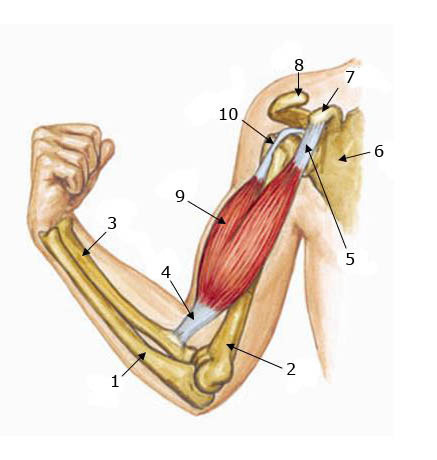 Normally, upper arm pain causes are because of repetitive use or direct injury to the bicep. Pain resulting from muscle strain is normally caused by the strengthening of the muscles in anticipation of the repetition of the strenuous activity, thus resulting into stronger and fitter upper arms. Fractures and sprains can cause a tingling or shooting sensation to both upper and lower arm, resulting to pain of both parts of the arms. However, upper arm causes can also arise as a symptom—for instance, people with diabetes and common colds often experience pain in their left and right arms as a symptom for their disease. Upper arm symptoms are normally a sharp or dull painful sensation in either or both arms. The pain is usually felt during rest and becomes worse when the arms are moved. Pain can also be a stabbing sensation, especially near the joints because it could involve a strain on the joints as well. There might also be some form of swelling or bruises on small patches of the skin. For upper arm pain diagnosis, it is best to know the cause of the pain. Usually, pain that arises from strenuous activity involving the arm is due to muscle strain, the most common type of upper arm pain there is. In some cases, upper arm pain can be a symptom to other diseases such as common colds and diabetes. Upper arm pain relief is often possible through home treatment. It is expected that the pain will wane in due time if the muscles tend to recuperate and become stronger. Usually, ice is the best treatment for upper arm pain if it is caused by muscle strain. When the swelling has lessened, it is best to apply heat to relax the muscles, but make sure to cover the skin when applying the cold and hot treatments. When the pain does not subside within twenty-four hours after treatment, it is best to seek medical attention. Serious medical attention should be brought about if the pain is severe, chronic even without strenuous activity or accompanied with other illness. I have frequent but not all-the-time severe pain in my upper arm. It often seems like muscular pain or even a nerve-ends pain. My GP suggests is is a posture problem but the pain does not go away after being careful about posture. Voltarol pain ointment has no effect on the pain. I have frequent but not all-the-time severe pain in my upper right arm. 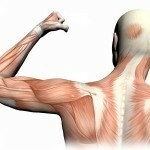 It often seems like muscular pain or even a nerve-ends pain. My GP suggests it is a posture problem but the pain does not go away after being careful about posture. Voltarol pain ointment has no effect on the pain. is this a medical problem to worry about – I was kept awake by pain radiating from my elbow joint, spread to upper arm, back, should and neck accompanied by tingling “pins & needles” in my fingers. Its the left upper body. Pain is a signal from your body that something is wrong. As such, any unexplained pain should be investigated. Did the pain occur only once and disappear, or is it recurring?